Booking your wedding car through The Wedding Car Hire People in Dereham, ensures that you will receive the highest quality car and service. 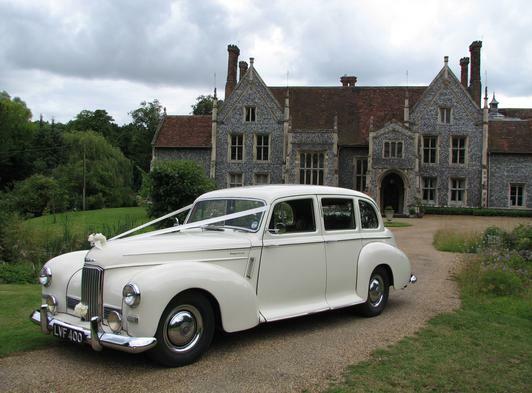 All of the wedding cars available for hire in Dereham and Norfolk have been meticulously maintained to the highest of standards in accordance with the National Association of Wedding Car Professionals. You can be confident that the premium wedding car service booked through us will be an extra special part of your big day. Every wedding is different, so although we have a standard package, Dereham wedding cars, booked through us, will always include a smartly dressed chauffeur, ribbons & bows, a fully detailed itinerary with the actual service delivered on the day is tailored to your specific requirements. We can cater for all your wedding day requirements with bridal cars, bridesmaids’ cars, grooms’ cars and even cars to carry the whole of your wedding party.